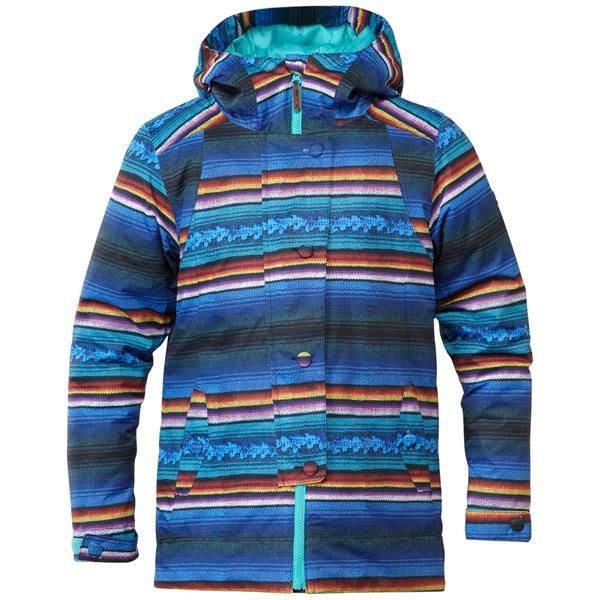 Your little lady deserves the best in winter weather protection, so zip her up in the DC Data K Snowboard Jacket for girls this season to hit the slopes in comfort and style. 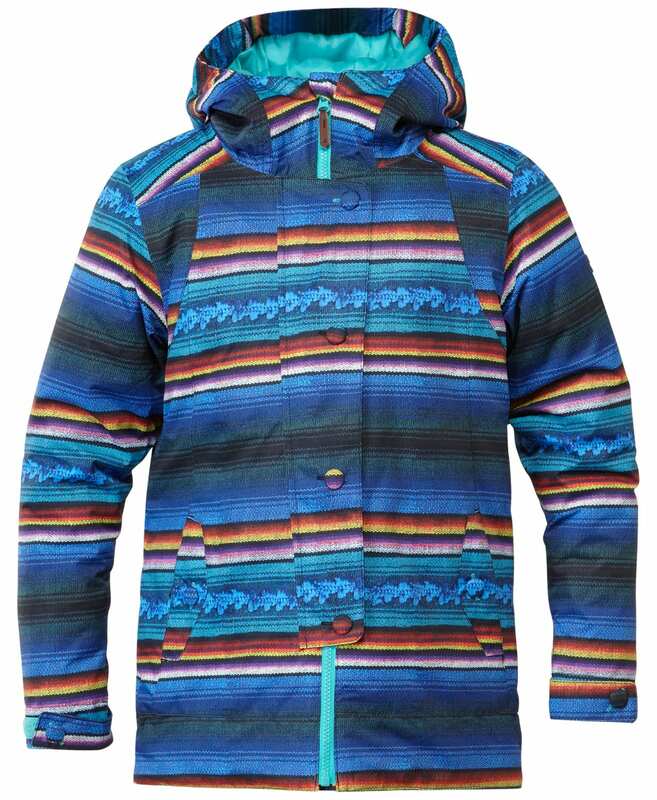 The durable polyester shell of this youth coat provides 10,000 mm of waterproof defense and 10,000 g of breathability, and featuring critically taped seams and mesh lined vents, the next generation of shredders will be safe from moisture while getting fantastic air circulation. 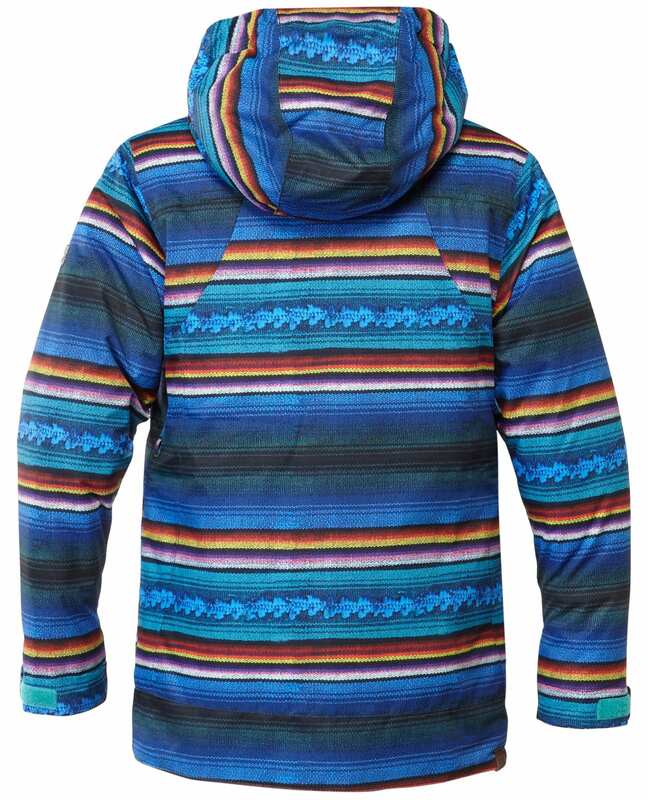 With 120 grams of insulation in the body and 80 grams in the sleeves and hood, the Data K blends warmth with mobility to deliver the perfect outerwear for those cold powder days.